It’s Test Drive Tuesday here again and I’m not exactly sure where the weekend went but here we are – and we’re back in the countryside with BRIO today. 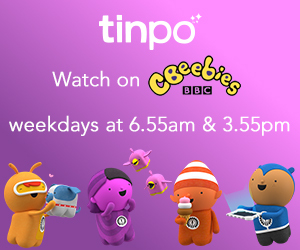 This is huge for our boys – they ADORE their BRIO and now we’ve changed the living room around they apparently have fantastic plans for covering our floor in new tracks. 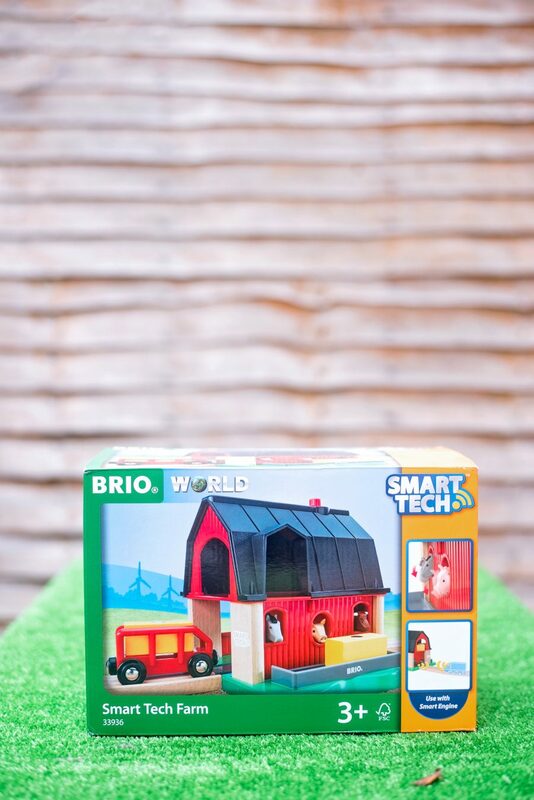 This week we were sent a gorgeous playset from the new Smart Tech series, the BRIO Smart Tech Farm. 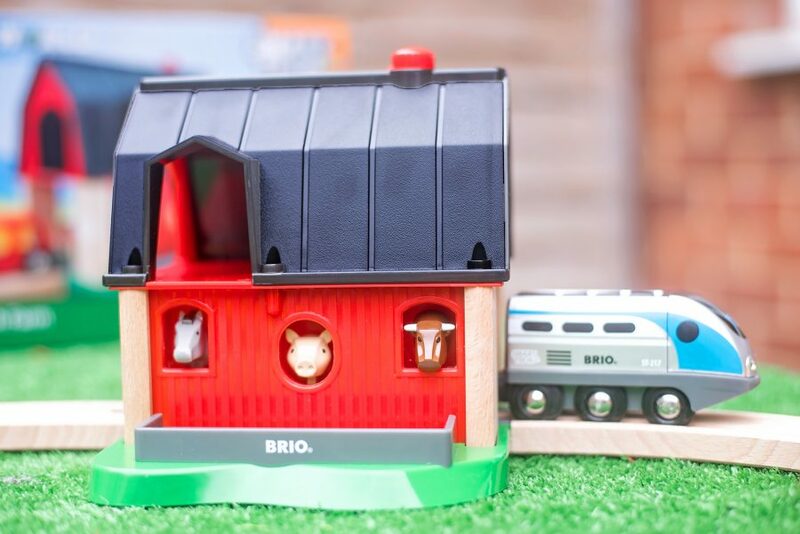 The BRIO Smart Tech Farm set features a red and black barn with a tunnel through it, and three farmyard animal heads which are interactive with the Smart Tech trains, two hay bale blocks and a little red wagon to deliver the hay with. There’s a switch on the top of the barn which signals to the Smart Tech train whether it should drive through or stop – and if it does stop, the animals make their farmyard noises whilst they wait for food! It’s very clever. The Smart Tech Trains. They’re so clever. 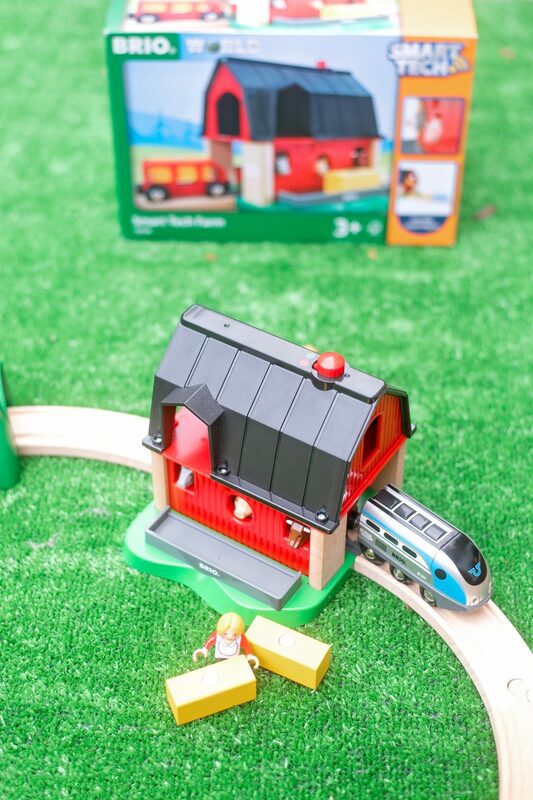 We love that the trains can move by themselves and also work BRIO magic on other playsets. There’s nothing like seeing your own creation work when you’re little, and BRIO is easy enough for little ones to use on their own and presents lots of opportunity for problem solving! 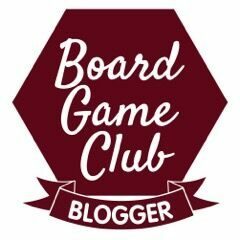 That there’s more to this set than meets the eye – the boys loved the little loft part in the barn where they could put BRIO accessories like luggage and the hay bales – and try and hide BRIO people in there too. We’d have liked a few more farming accessories like a farmer or some decoration on the hay wagon for the price, but that’s all we could think of! We were sent the BRIO Smart Tech Farm set for review, all opinions are our own.